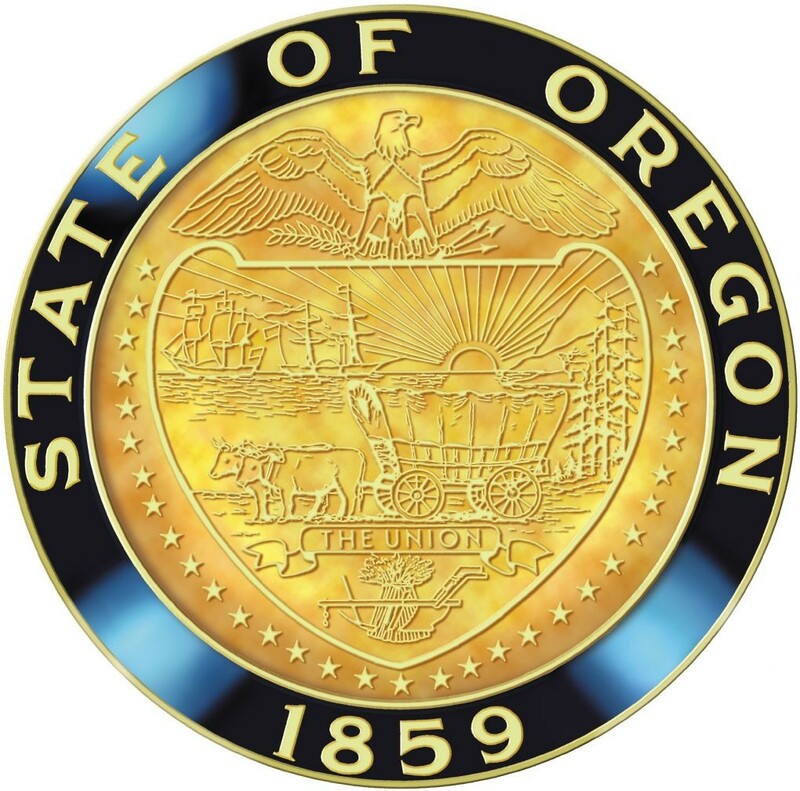 SOUTHWEST OREGON – State Representative David Brock Smith (R-Port Orford) announced today that he will accept the position of State Senate District 01, if appointed to fill the seat. “Working hard for the residents of our rural Southwest Oregon District in Salem is intense and rewarding, and the work leading up to and during the recent Short Session has kept me focused on our residents, their communities and the industries that support them,” said Rep. Brock Smith. The Chetco Bar, Horse Prairie and other fires in Southwest Oregon, subsequent Governor appointment as the Convener of the Chetco Bar Fire Recovery Council, Convener of the Sudden Oak Death Task Force, growing our economies, providing resources for services and protecting our residents from legislation that would be harmful to them, have been Rep. Brock Smith’s major priorities. During this last Legislative Short Session, Rep. Brock Smith crafted Legislation (HB 4109) that assisted in stopping the majority party’s punitive push on a carbon tax, that would have negatively impacted rural Oregon and our residents, greater than any other in the State. (The majority party’s carbon tax had an estimated .15 cent a gallon gas tax and would have increased utility costs) Rep. Brock Smith attended all the workgroup meetings on the carbon tax during the interim. Rep. Brock Smith’s HB 4109 focused on the stored carbon in our abundant forests, that continues to be released because of wildfire, disease and decay, due to the lack of management of our timber resources on federal land. “We are blessed to grow the best solar powered carbon capture and sequestration engines in the world. Using sunlight to scrub greenhouse gas emissions from the atmosphere to produce oxygen, with a byproduct that is the most resilient building material in the world, wood,” said Rep. Brock Smith. “My bicameral bipartisan legislation looked to active forest management of our timber resources, promoting forest health and habitat, while mitigating wildfire, creating jobs and sequestering carbon for generations through wood products,” he said. “It would provide the needed supply for our wood product industries; such as CLT and Mass Timber (DR Johnson) in combination with our aggregate and steel industries, to grow and support our rural Oregon economies and their residents. A true bridge of the rural-urban divide, all while growing more carbon sequestration engines that use less water and sequester carbon at a greater rate,” he said. Both the majority party’s carbon tax legislation and Rep. Brock Smith’s Healthy Forests & Rural Job Innovation through Carbon Sequestration Legislation were in committee together upon the Sessions adjournment on March 3rd. Since the adjournment of Session, Rep. Brock Smith has been working on the new federal Opportunity Zone program; as the Vice Chair of the State’s Economic Development & Trade Committee, that will provide federal tax incentives for meaningful investments in our rural communities, growing our economies and providing needed jobs for our residents. He has also taken some needed time to spend with his family, and to have conversations regarding this important Senate appointment. “After much thought, discussions with my family, prayer and with the overwhelming support I have received from fellow State Representatives, Senators, County Commissioners, Community Leaders, Business Owners, Industry and Residents, I have decided that I would accept the State Senate District 01 position, if I have the honor and privilege to be appointed,” said Rep. Brock Smith. The Senate District 01 seat will be vacant as of March 15th, due to the resignation of long time public servant and legislator, State Senator Jeff Kruse. Representative David Brock Smith is currently the State Representative for House District 01, which makes up most of the area of Senate District 01. He is also the Vice Chair of the House Committee on Economic Development & Trade, and a member of the Energy & Environment Committee, Agriculture & Natural Resources Committee and Early Childhood & Family Supports Committee. He is the Republican State Delegate to the Pacific Northwest Economic Region (PNWER), the House Republican on the States’ Opioid Task Force, the House Republican on the States’ Maritime Workforce Development Task Force, the Convener of the Sudden Oak Death Task Force, the Chair of the Oregon-China Sister State Relations Council’s Southern Oregon China Connection, the Convener of the States’ Chetco Bar Fire Recovery Council and the Vice Chair of the Legislatures Oregon Coastal Caucus. Rep. Brock Smith has served as a member of the Law Enforcement Blue Ribbon Committee, Port Orford Rotary Board of Directors/Paul Harris Fellow +1/Benefactor/Sponsor, Brookings & Port Orford Masonic Lodge-Past Master, and as a OYSA Soccer Coach. He holds certificates from AOC/OSU-County College, F.E.M.A.-Crises Leadership Training for Elected Officials, and CIS Certification for Governance, Government Ethics, Harassment & Discrimination Prevention. Rep. Brock Smith has served as a Curry County Commissioner, Port Orford City Council President, Curry County Planning Commissioner, Port Orford-Langlois School Board Member, Oregon Coastal Zone Management Association Board Member, South Coast Business Employment Corporation-Director, Local Public Safety Coordinating Council-Chair, Redfish Rocks Community Team-Socio Economic Chair, and Curry County Fair Board Member. He has served on the Board of Directors of the Association of Oregon Counties (AOC), AOC Legislative Committee, AOC Public Lands & Natural Resources Committee, AOC Energy, Environment and Land Use Committee, Association of O&C Counties Board of Directors as well as a member of the National Association of Counties (NACo) Public Lands Committee. As County Commissioner, Rep. Brock Smith was Elected by the County Commissioners of the five counties to serve as the Association of Oregon Counties (AOC) District 4 Chair, which represented the residents, communities and industries of Curry, Coos, Douglas, Josephine and Jackson Counties. “Over the many years of work in the private sector and public service, I have had the opportunity to create relationships and forge teams to work for and accomplish the goals for, our residents,” said Rep. Brock Smith. 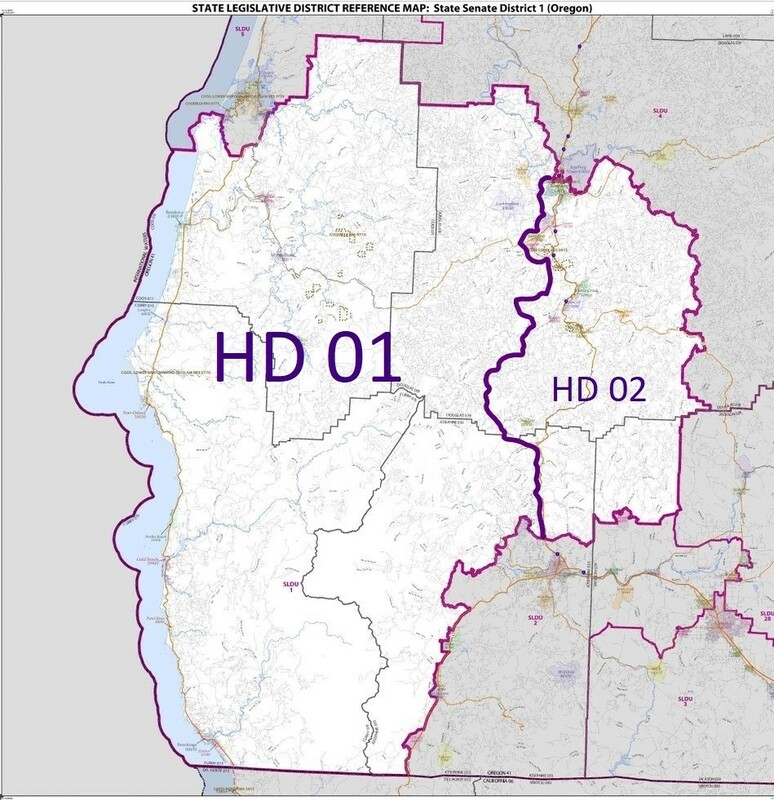 Senate District 01 is made up of two House Districts, and Rep. Brock Smith’s House District 01 encompasses all the coast from Charleston to Brookings-Harbor, then East to Cave Junction, then North to the West area of Roseburg and then West to Coos Bay, including all the communities, residents’, farms, ranches and businesses in-between. House District 01 is roughly three and a half times the size of House District 02. “Through the years of private business and public service, the teamwork, the experience acquired and the relationships built along the way, will allow me the opportunity to best serve the residents, communities and businesses of Senate District 01,” said Rep. Brock Smith. He encourages everyone to go to his Legislative Website at, www.oregonlegislature.gov/smithd and view his Press Releases and Newsletters under the ‘News and Information’ tab, as he is very active working for you and sends out regular updates. You may also find more information on Rep. David Brock Smith’s work and experience on his website at www.DavidBrockSmith.com. Thank you for your support and together, we will build a better Oregon.